A proud trio of native fisherman with a fine catch – note the brighter fish, it’s closer to spawning. The season is very short, only two fishing seasons of 2-3 weeks each (begining about July 18, 2012). We’ll be one of the very few with this amazing fish – get it while you can! Arctic Char is similar in taste to its ‘cousin’ the salmon, but richer and more delicate, and these rare Nunavut Arctic char are among the worlds finest thanks to the intensely cold, pristine waters of the Northwest Passage. If you like salmon or trout, you will love char – it’s the best of both fishes! Manpower, not hydraulics, is used to haul the nets and fish. The Nunavut (noon-a-voot) are Inuit people of the northern islands of Canada who have been catching Arctic Char in open boats and traps, by hand for over 2,000 years. These fish are rare, sustainable, delicious, Eco-friendly and only available locally at Tony’s Markets – take pride in your responsible choice that gives these 1,500 hard working people a chance at a sustainable future. Way, WAY up north, search Google Maps for “Cambridge Bay, Nunavut, Canada” and check it out in satellite view. These fish are VERY rare and the season very short, so get them while you can and put some up in the freezer. 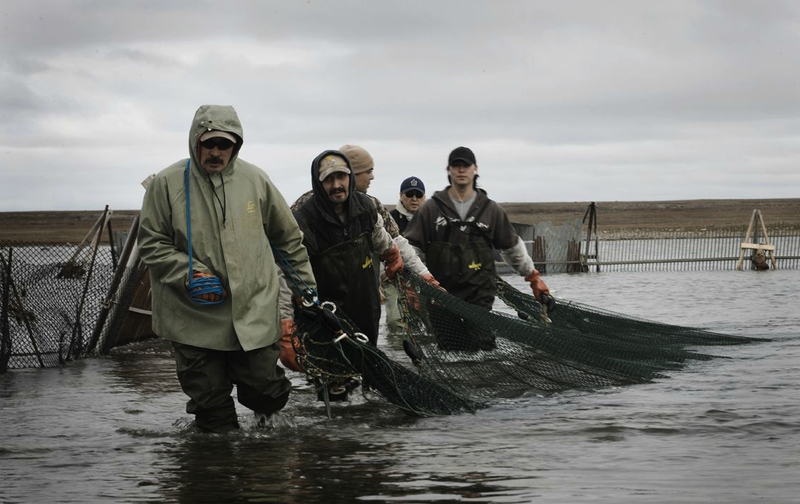 The “spring” run is about 3 weeks every July when the ice breaks, and there is another 3-4 week run at the end of August and stretching into September, starts when “summer” temperatures dip and the fish swim back to their winter home. Char look a lot like Dolly Varden, another tasty Northern Tier fish, and are a salmonid; related to Dolly, Salmon, Trout, Steelhead, Grayling and freshwater whitefishes – all very tasty! 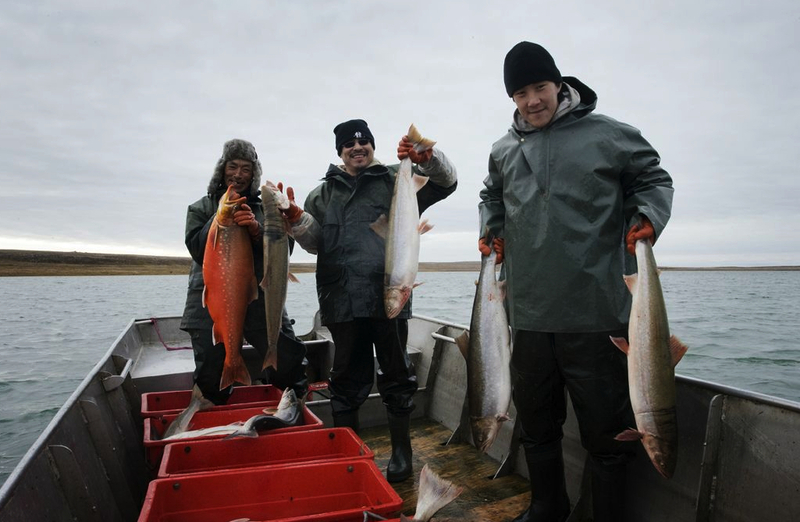 While there are a lot of good reasons to choose Nunavut Arctic Char, taste is one of the most important. In the kitchen, treat it just like salmon or trout. I prefer searing this fish with a spice crust in a heavy pan or on a grill with a heavy grate… Preheat pan or grill well, oil and start cooking skin-side up, browning quickly, and then turn and finish cooking skin-side down (so the skin can hold the delicate cooked fish together). Cook quickly to medium rare (130 degrees internal and rest 5 minutes), searing to brown without overcooking – usually just a few minutes per side, depending on the heat and the size of the fish. Looks like salmon, eh? Interesting note – I have the EXACT same cutting board in my kitchen, small world don’t ya know! Season or marinate before cooking, or cure in a sprinkle of kosher or sea salt for 24 hours (a Japanese method my wife taught me). My favorite seasonings for char are my Z Blend or my Taste of Tokyo Rub – but salt and pepper or any of your favorite seasoning blends will do just fine. I also like to marinate in teriyaki, or yakitori sauce (and reduce the teriyaki for a sweet glaze). If you like crispy skin, scale before cooking – it’s awesome! I’m waiting for this fish to come in, I have an extra special (and very simple) recipe in mind and will update this post with it when I can – hopefully before I leave for vacation (fly fishing, of course!). 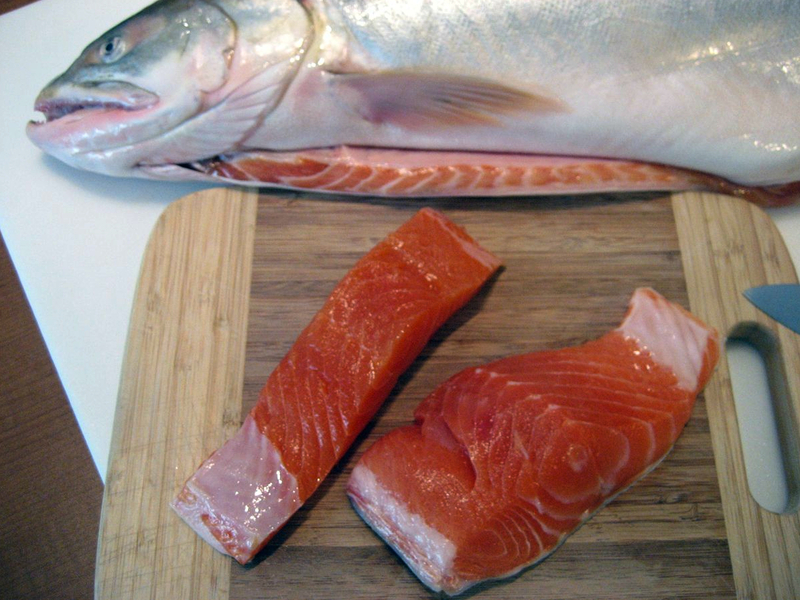 In the mean time, here’s a couple favorite recipes for Arctic Char – Buon Appetito! Pan seared fillets with bacon and a simple Maple Syrup Butter enhanced with Canadian or Irish Whiskey (I suggest Canadian Rye Whiskey or Irish Tullamore Dew). 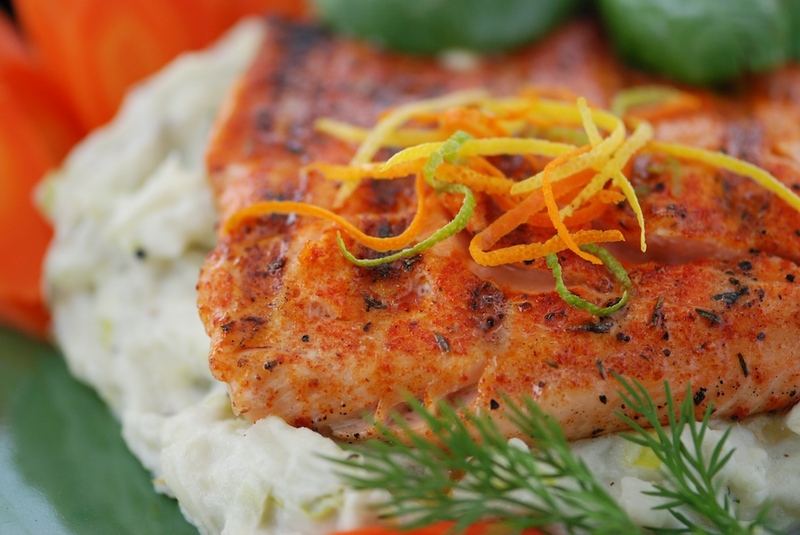 Simple Chile and Citrus Char – also great with Steelhead, trout or salmon – recipe follow. Season fillets with Tony’s Chile Arriba!, to taste. Preheat a medium to medium high grill or grill pan on the stovetop. Zest citrus. Mist hot grill/grill pan or skillet well with oil and immediately add fish fillets, skin side up. Grill to brown lightly – about 3 minutes depending on grill temperature and cooking grate. Turn and cook to medium rare – about 130 degrees internal. Remove from heat, top generously with citrus zest and serve. Pairing Notes: I paired this dish with Jalapeno Mashed Potatoes, steamed veggies, fresh herbs and a cold glass of sake – but a cold lager beer or a chilled bottle of Rose, Riesling or Gewurztraminer would also be lovely. Supreme Citrus Sauce: For an accompanying citrus sauce, Supreme Cut fruit segments (meat only, no skin or membrane – 2 parts orange to 1 part lemon and lime) and saute in a saucepan with a splash of wine to ‘melt;’ seasoning with pinches of salt and pepper and sweetening with Agave nectar, honey or sugar if desired. Remove from heat and add melt in tabs of butter to taste. Blend seasonings well, taste and adjust with more brown sugar or other seasonings to taste. Store leftover seasonings in a tightly sealed container.